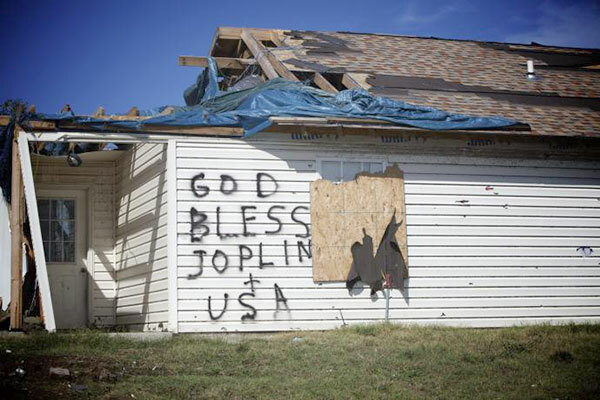 "The tornado that hit Joplin, Missouri, on May 22, 2011 lasted 32 minutes and caused damage for 13 miles. At its widest point, the path of the tornado stretched a full mile. The EF5 Tornado — the most destructive on the Enhanced Fujita Scale — left a city nearly destroyed. More than 15,000 vehicles were carried away, nearly 7,000 homes were completely destroyed, and 161 people lost their lives. In the months following the tornado, Secretary Arne Duncan joined then-Secretary of Homeland Security Janet Napolitano to tour the city and the destroyed high school, and last week, Duncan returned to Joplin with Vice President Joe Biden for the dedication of the new state-of-the-art Joplin High School/Franklin Technology Center. Referring to his previous visit three years ago, Secretary Duncan spoke of how he left inspired and full of hope, and that he is not surprised at Joplin’s dramatic recovery. “In that one day [in 2011], I had some sense of the fiber and character of this community,” he said. Going forward, many of Joplin’s graduates will enter college with two years of college credit under their belt, saving students and their families thousands of dollars in tuition. The new Joplin High School/Franklin Technology Center isn’t just a new building, but a new vision of education for the community’s students. The opening also marked the launch of the Career Path curriculum. Students attending JHS/FTC can choose one of five Career Paths, which are developed and implemented by school, community, and business representatives, centered on core foundational knowledge and skills, plus the soft skills employers demand from their employees." Cameron Brenchley is a Senior Digital Strategist for the Office of Digital Strategy at the White House.